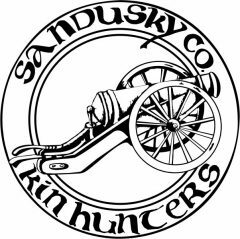 Kin Hunter History – Kin Hunters of Sandusky County, Ohio, Inc. The Kin Hunters began as a genealogy division within the Sandusky County Historical Society. The group, temporarily chaired by Mrs. Matt P. Marchman, was organized March 12, 1967. Kenneth E. McCarthney, Toledo, was the first Genealogy Supervisor (G.S.’s were appointed by the Society president) and directed the group’s original meeting April 2, 1969, at the Birchard Public Library, in Fremont, Ohio. Successive Supervisors were Mrs. James F. Trusdle, Mrs. J R. Leonard and Thaddeus B. Hurd. The group began publishing the Kin Hunters’ Guide in January 1969. Kin Hunter emphasis and programs included lectures and work sessions on family history research. ​In July 1979, members held a reorganization meeting for the purpose of planning a “more active” Kin Hunter group. At the September 23, 1979 meeting, 42 Kin Hunters signed the register at the Birchard Library meeting. Following routine business, the new constitution and bylaws were read, motioned for acceptance and approved. Annual dues were established at $2.00, which were in addition to the dues paid the Sandusky County Historical Society (and of which the Kin Hunters were still a “division”)..
​In October 1980 the Kin Hunters met at McPherson Cemetery for the purpose of recording grave stones and indexing names. Other group activities included new book purchases (and subsequent donation to Hayes), migration pattern research, help for genealogy beginners, genealogy charts and surname indexing (also held at the Rutherford B. Hayes Presidential Library and Museums) and some research for out-of-town members. In April 1982, a Tri-county (Sandusky, Ottawa and Seneca) Genealogy Workshop was held at the Vanguard Vocational School – with 149 paid admissions. Kin Hunter membership stood at 65 and meetings were often held at the Rutherford B. Hayes Presidential Library and Museums Auditorium. ​In mid-1982, an Ohio genealogical publication stated that, of the 60 Ohio counties with Historical Societies, 58 of those counties had separate genealogical societies. For this and several other practical reasons, in early ’83 five Kin Hunters generated a petition requesting an informal general meeting to discuss reorganization as a society separate of the Sandusky County Historical Society. Subsequently, with help obtained from the Seneca County Genealogy Chapter and from the Ohio Genealogical Society (OGS), non-profit articles of incorporation were crafted and sent to Columbus. At the June 26, 1983 meeting, new by-laws were approved, article by article, under acting President Bob Trudell. The Kin Hunters – now officially named the Kin Hunters of Sandusky County, Ohio, Inc. – had managed a debated but friendly separation from the Historical Society. ​The July ’83 election of new officers included Louise Bullinger, President; Earl Frymire, 1st Vice-President; Kenneth Smith, 2nd Vice-President; Dawn Good, Recording Secretary; Eleanore Kiser, Treasurer; Lisa Alcala, Corresponding Secretary and Grace Luebke, Historian; Ruby Kapp was appointed to Family Indexing. News & Notes, Sept 1983, reported 61 members and dues of $3 per year. However, not until 1988 did our name, tax-exempt status and Federal Employee Identification Number become secure. ​Meeting locations varied in the mid-80’s. Then-President Dollie Baukus hosted a meeting for ten members and two visitors in her home in Aug ‘86. At the same meeting, Mary Ann Bullinger, who had been spokesperson and committee chair for the separation and new constitution (by laws), suggested the name Kith ‘n Kin for the Kin Hunters’ newsletter, to differentiate it from the Historical Society newsletter. She and Nan Card edited this award-winning publication for many years – and it still thrives today. ​In 1987 the Kin Hunters began holding meetings in the Sandusky Township Hall, and the membership year was changed to coincide with the calendar year. Dues were $6.00 each from 146 members. ​The Kin Hunters were granted charter as an OGS Chapter on April 29, 1989. In the late 90’s, membership hovered around 300 and an average of 35 attend monthly meetings on the 2nd Sunday at 2pm at the Sandusky Township Hall on State route 19, in the same building as the Sandusky County Fire Station. The Kin Hunters’ organization has been and continues to be an important contributing body to the Rutherford B. Hayes Presidential Library and Museums, to the families and documented history of Sandusky County, and to the members of the Kin Hunters of Sandusky County, Ohio Inc. and other genealogical researchers throughout the U.S. and the world.